TANTRA IN THE WEST is a series of stories about the encounter of the West with Asia’s tantra. Each is about hearts and love, and the flows of energies that tantra understands so well. My childhood was Catholicism and much of my adulthood has been among tantric Buddhists. I hope these novels are written with respect for both Catholicism and Tantra, and especially for the heart. 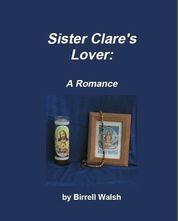 First of the Tantra in the West series, Sister Clare’s Lover: A Romance of Catholic Tantra tells how Father Matthew Shalgry was sent to investigate a tantric practice in the city’s convent. He found it – and he lost his heart. He encountered nuns practicing a text calledThe Love of Christ and sending the energy to those who need it. He encountered Buddhists converting passion Asia’s tantra. But most of all, he fell in love with a married woman. How could they honor/ both their love and their vows? This is a novel of passion, energy and faithfulness. Katholisches Tantra? Ist so etwas möglich? 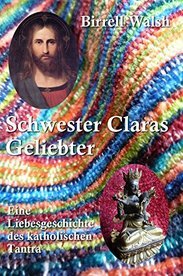 Father Matthew Shalgry wird von seinem Erzbischof gebeten, Schwester Clara ausfindig zu machen, die mysteriöse Autorin von “Die Liebe Christi”, einem äußerst sexuellen Gedicht und einer hingebungsvollen Praxis, die sich in den Klöstern ausbreitet. In dieser Praxis reißt sein Herz auf; all die Leidenschaften, die er für seine Priesterschaft aufgegeben hatte, drängen mit voller Macht an die Oberfläche. Als er sich in eine französisch-indische Frau verliebt, ringen dieser Priester, der seine Priesterschaft wertschätzt, und eine Frau, die ihre Ehegelübde ernst nimmt, darum, ihre Liebe zu ehren, ohne ihre Gelübde zu brechen. 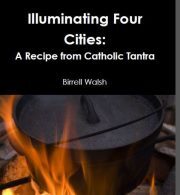 Second in the Tantra in the West series, Illuminating Four Cities: A Recipe of Catholic Tantra follows Father Matthew Shalgry as he tries to understand the great love of his life. In company with his friend the lesbian barkeep ex-nun Marta Vasquez, he recounts four visions that came in the night: four different worlds in which he met the same person and loved her in four different ways. 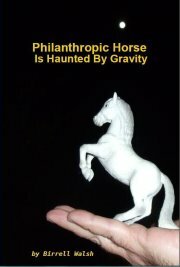 Third in the Tantra in the West series, Philanthropic Horse is Haunted by Gravity is the tale of a young horse in South Germany. He lives quietly until a visiting Lama invites him to help. The help he is to give involves carrying the dead to the river of rebirth, raiding hell to rescue souls, climbing to a multi-species monastery in the clouds, visiting the tantric circle of a tigress and entering the cave of wisdom. At last he is on the peaks, where the lightning goes. Will death suffice to bring light to his lost love and the heavy, suffering world? Fourth in the Tantra in the West series is Shepherd of Wolves. Genocides who would destroy half the world with a GMO weapon plot in Scandinavia. Interpol thinks they put together the strange team to hunt them down – a Danish detective falling in love with an American doctor, a sad priest and a lesbian bar-owner from San Francisco, a Filipina cop from the mean streets of the Mission District, and an agent of Germany’s shadowy watchdog agency. But the real team is stranger still, as ghosts and half-human guardians struggle to prevent the ghastly Cleanup Virus and history itself shimmers and reshapes. 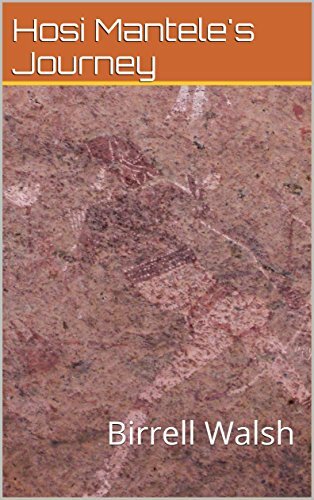 Fifth in the series is Hosi Mantele’s Journey, a “chapbook” of brief tales. A Namibian goddess needs to see into the soul of Europe and America. 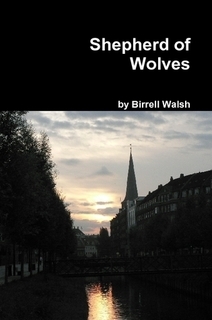 She goes forth, disguised as photojournalist, in this collection of short stories. Hosi Mantele’s Journey for Amazon Kindle.